For over 40 years, thousands of Mississippians have participated in the Keep Mississippi Beautiful “Avenue of Magnolias” Program. Through their contributions, they have honored or remembered someone dear with a beautiful magnolia tree to be enjoyed and appreciated for many years to come. 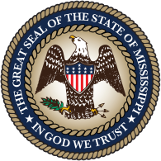 Founded in 1961, Keep Mississippi Beautiful is a non-profit organization made up of a cross section of concerned citizens dedicated to making Mississippi a more beautiful state for residents and visitors to enjoy. 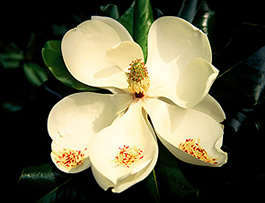 Keep Mississippi Beautiful’s major project is the “Avenue of Magnolias,” which calls for planting at strategic locations leading into Mississippi of the Magnolia Grandiflora, the state tree and flower. Funding for the Avenue of Magnolias is through private contributions. A twenty-five dollar ($25) contribution will dedicate a specific newly-planted tree in honor or memory of your designee. Your contributions will not only help you take part in keeping Mississippi beautiful, but also to remember someone you love and respect. Don’t hesitate. Contribute toward planting a tree for someone you love today. You can contribute to the “Avenue of Magnolias” by completing and mailing the attached form. Thank you for your help in making Mississippi a more beautiful state in which to live and travel.